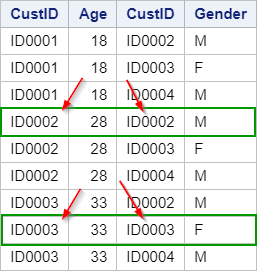 An inner join combines the SAS tables horizontally and keeps only the matching rows between the two (or more) tables. The DS1 and DS2 tables each contain information for three customers. Note: Customers ID0002 and ID0003 are the common customers between the two tables. 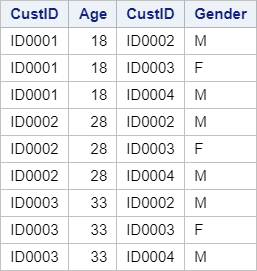 With the Proc SQL inner join, only the matching customer IDs (i.e. ID0002 and ID0003) are displayed. Now, let's look into how the inner join is processed in SAS. The Cartesian product is not shown in the output. Once the Cartesian product is created, SAS will filter the table using the joining condition specified in the WHERE clause. 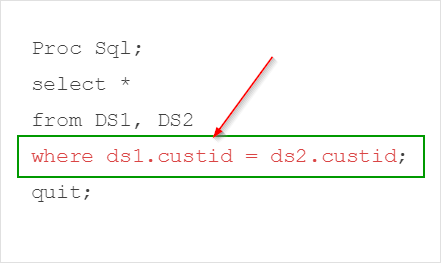 The WHERE clause tells SAS to match the CUSTID column across the DS1 table and DS2 table. 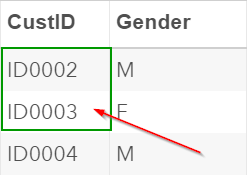 You will notice that the two CUSTID columns in the WHERE clause are prefixed by the table names (e.g. ds1.custid). 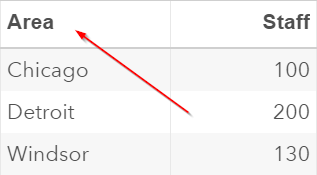 Using the prefix is necessary when the columns that are being compared (e.g. CUSTID) have the same name in the two input tables. 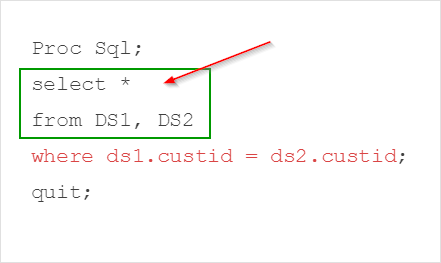 You might have already noticed that, unlike the MERGE statement in the data step, the Proc SQL join does not require the matching columns to have the same name. 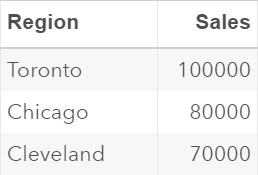 Note: the REGION column from the BRAND1 table contains the same information as the AREA column from the BRAND2 table. They both identify the cities which the data is associated with. Now, let's do an inner join by matching the REGION column with the AREA column. The inner join is performed by matching the REGION column with the AREA column. The DRIVER table contains a list of Uber rides and the trip fares. The RATING table contains the same list of Uber rides and the riders' rating. 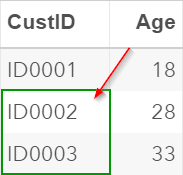 Write a Proc SQL step to inner join the DRIVER and RATING tables by matching the Trip ID.